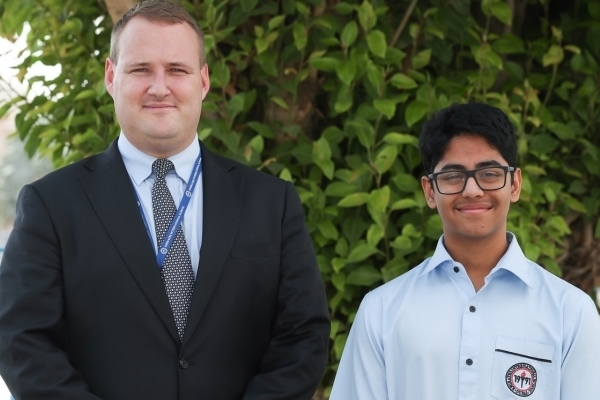 A grade 11 Emirates International School – Jumeirah student, Gavin Vasandani, has been selected by Cubes in Space, from 20,000 applicants around the world, to launch his experiment in space. Cubes in Space, a programme by idoodledu inc., is the only global competition for students 11-18 years of age to design and propose experiments to launch into space or a near space environment on a NASA sounding rocket and zero-pressure scientific balloon. A total of 100 experiments were chosen to be tested. Vasandani who was guided by Johan Swartz, Head of Science, MYP & DP Physics Teacher, Emirates International School, throughout the process, proposed the implementation of carbon nanotube coating to increase radiation shielding efficiency in spacecraft which contributes to its lifespan. The experiment consists of assessing the correlation of layers, structurization and dopant of carbon nanotube structures, for the novel implementation in material coating; enabling substantial radiation deflecting capabilities, temperature resistance and cost-effective solutions for extraterrestrial manned missions. 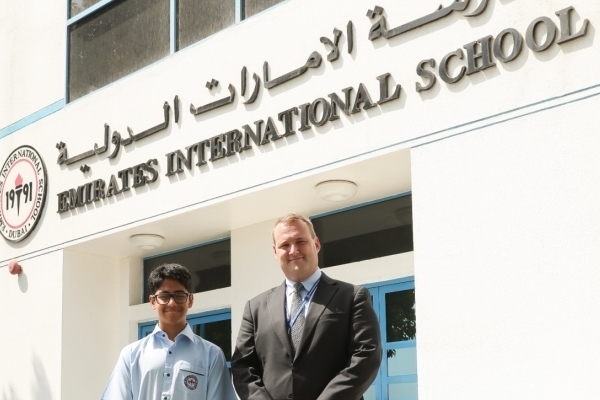 “At Emirates International School, we nurture the ambitions of our students and encourage them to think outside the box. We aim to develop the knowledge, attitudes, and skills they need to participate actively and responsibly in a changing and increasingly inter-related world. Gavin made the cut from thousands of applicants and this shows the ideal environment that our school provides.” he added. Gavin’s experiment was inspired by the Emirates Mars Mission, the first ever Arab mission to Mars. He aims that the result of his experiment will be beneficial in supporting the major radiation concerns in the UAE’s current mission and future missions. Gavin’s experiment will be launched into space from NASA’S Columbia Scientific Balloon Facility in Ft. Sumner, New Mexico in September 2018.